When utilizing application-based VM software, also known as a hypervisor, your computer's operating system is commonly referred to as the host. The secondary operating system that is run within the VM interface is often called the guest. While some guest operating systems like Windows require the purchase of an additional license key, others are available free of charge. This includes most Linux distributions as well as macOS, assuming that you are running on Mac hardware from 2009 or later. It should be noted that running macOS in a virtual machine on non-Mac hardware, such as a Windows PC, is sometimes possible with several of the software solutions listed below including Oracle's VirtualBox. However, macOS is only intended to be run on Apple hardware and doing otherwise might not only be a violation of the macOS license agreement but the user experience is usually slow, buggy and downright unpredictable. Below are some of the best virtual machine solutions available, each offering their own unique feature sets and platform compatibility. Easy to use once set up. Widely used and well regarded. Not all programs work within the emulation. Default configuration sometimes require changes. With almost 20 years on the market, VMware Workstation is often looked upon as the industry standard when it comes to virtual machine applications — with its robust set of functions covering a wide breadth of virtualization needs. VMware Workstation permits advanced 3D solutions by supporting DirectX 10 and OpenGL 3.3, eliminating image and video degradation within your VMs even when running graphics-intensive applications. The software allows for virtual machine open standards, providing the ability to both create and run VMs from competing vendors within the VMware product. Its advanced networking features provide the ability to set up and administer elaborate virtual networks for VMs, while complete data center topologies can be designed and implemented when VMware is integrated with third-party tools — essentially emulating an entire enterprise DC. VMware's snapshots let you set various rollback points for testing, and its cloning system makes deploying multiple instances of a similar VM a breeze — allowing you to choose between fully isolated duplicates or linked clones which rely partially on the original in an effort to save a notable amount of hard drive space. The package also integrates seamlessly with vSphere, VMware's cloud-based platform, resulting in the easy administration of all VMs in your company's data center remotely from your local machine. There are two versions of the application, Workstation Player, and Workstation Pro, the former available free of charge. Player allows you to create new VMs and supports over 200 guest operating systems. It also allows for file sharing between host and guest and features all of the graphical advantages mentioned above, as well as support for 4K displays. Where the free version falls short, for the most part, is when it comes to VMware's advanced functionality such as running more than one VM at a time and accessing many of the aforementioned abilities like cloning, snapshots, and complex networking. For these features, as well as to create and manage encrypted virtual machines, you'll need to purchase VMware Workstation Pro. Workstation Player is also restricted from commercial use, so businesses looking to utilize the Workstation software are expected to purchase one or more Pro licenses if they intend to utilize the application beyond its trial period. Upgrading from Player to Pro with the lowest level of support included will cost you $99.99, with other packages available to those buying ten or more licenses. Brings VMware’s emulation capabilities to MacOS. Supports range of MacOS displays. Can use same virtual machines as non-Mac VMware products. Not as full-featured as Parallels. Brought to you by the same folks that created VMware Workstation for Linux and Windows, Fusion ports what is basically the same experience that Workstation offers to the Mac platform. Not unlike VMware Workstation, the software's basic version is free and intended for personal use only while Fusion Pro can be purchased for business purposes or individuals requiring access to the advanced feature sets. It does have some Mac-specific functionality, such as support for 5K iMac displays as well as mixed retina and non-retina configurations. Fusion also includes Unity Mode, which hides the Windows desktop interface and lets you launch and run Windows applications right from your Dock as if they were native to macOS. Both the free and paid versions of Fusion also provide the option of running Windows from your Boot Camp partition as a guest VM instance, eliminating the need for a reboot when you want to switch back and forth. Requires solid hardware setup with ample RAM for efficient performance. Must download "Guest-addition" software to manage additional features. VirtualBox supports a wide array of guest operating systems, a list that features all versions of Windows ranging from XP to 10 as well as Windows NT and Server 2003. It allows you to run VMs with Linux 2.4 and above, Solaris and OpenSolaris in addition to OpenBSD. You're even given the option to turn back the clock and run OS/2 or DOS/Windows 3.1, whether for nostalgic purposes or to play some of your old favorites like "Wasteland" or "Pool of Radiance" in their native environments. You can also run macOS in a VM using VirtualBox, although this will only work if your host operating system is also on a Mac. This is mainly due to the fact that Apple does not allow their operating system to function on non-Apple hardware. This is the case with a standard macOS installation, and also applies when running the OS within a VM solution. VirtualBox supports the ability to run multiple guest windows simultaneously and also provides a level of portability where a VM created on one host can be easily transferred to another that may have a completely different operating system. It tends to run fairly well on older hardware, recognizes most USB devices and offers a useful library of Guest Additions which are available for free and easy to install. These added features include the ability to transfer files and clipboard contents between the host and guest operating systems, 3D virtualization and other added video support to alleviate many common problems with visuals on a VM. The product's website provides several thorough and easy-to-digest tutorials along with a set of pre-built virtual machines, custom-made to meet specific development needs. Boasting an ever-expanding developer community which publishes new releases on a somewhat regular basis and an active user forum with almost 100,000 registered members, VirtualBox's track record all but assures that it will continue to improve and serve as a long-term VM solution. Allows user to run Windows, Chrome OS, Linux, and a second instance of MacOS. Three versions to suit different applications. Full complement of features, with ability to monitor and adjust memory usage. Allows MacBook Pro’s Touch Bar to work in Windows. Subscription pricing model means users must upgrade yearly. A long-time favorite of Mac enthusiasts who occasionally need to run Windows, Parallels grants the ability to seamlessly run Windows and Mac applications side-by-side. Based upon your primary use for Windows, whether it be design, development, gameplay, or something else, Parallels optimizes system and hardware resources for a Windows experience that often feels as if you're on an actual PC. Parallels offers most features that you'd expect in a paid VM product, as well as many specific to the Mac such as being able to open websites in IE or Edge directly from your Safari browser and Windows alerts displaying in the Mac Notification Center. Files can be quickly dragged between the two operating systems, as well as all clipboard content. Also included with Parallels is a dedicated cloud storage space that can be shared across both macOS and Windows. A common misconception about Parallels is that it can only be used for Windows in a guest VM, while it actually permits you to run Chrome OS, Linux and even a second instance of macOS. There are three different versions of Parallels available, each suited for a particular audience. The basic edition targets those who are switching from PC to Mac for the first time, as well as the everyday user that has a need to utilize Windows applications on a regular basis. It contains the basic toolset along with 8GB of VRAM and 4 vCPUs for each guest VM and costs a one-time fee of $79.99. The Pro Edition, aimed at software developers, testers, and other power users, integrates with Microsoft Visual Studio in addition to other well-known dev and QA tools such as Jenkins. Round-the-clock email and phone support are provided, along with advanced networking tools and the ability to utilize business cloud services. With a formidable 64GB vRAM and 16 vCPUs for every VM, Parallels Desktop Pro Edition is available for $99.99 per year. Last but certainly not least is the Business Edition, which includes all of the above along with centralized administration and management tools and a volume license key that allows you to roll out and control Parallels instances across entire departments and organizations. The overall cost of Parallels Desktop Business Edition is dependent on the number of seat licenses you require. 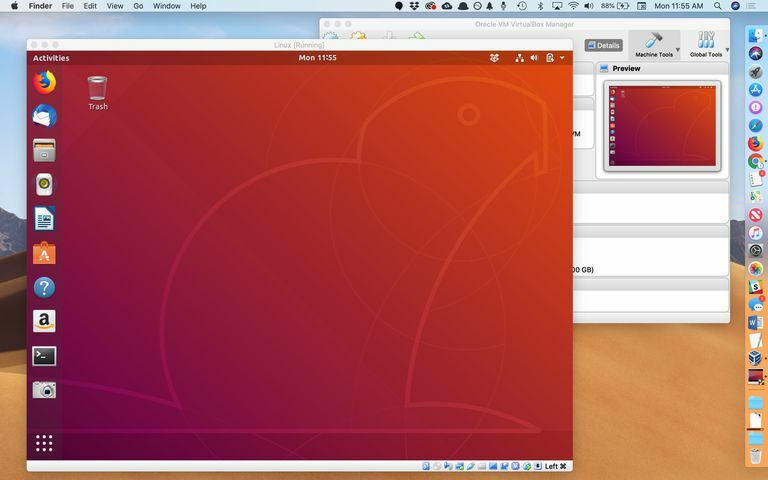 Functions as both virtual machine host and machine emulator. Can emulate broad range of machines. QEMU is frequently the hypervisor of choice for Linux users, based on its zero-dollar price tag and easy-to-master full-system emulation tools. The open source emulator simulates an impressive range of hardware peripherals, using dynamic translation for ideal performance. Running KVM virtual machines when using QEMU as a virtualizer can result in what is essentially native-level performance on the right hardware, making you almost forget that you're using a VM. Administrative privileges are only required in certain scenarios with QEMU, such as when you need to access your USB devices from within a guest VM. This is somewhat of a rarity with this type of software, adding some pliability to the ways in which you can use it. Custom builds of QEMU have also been created for macOS and Windows, although the majority of its user base tends to have Linux boxes as their host. Per-minute-billing charges can add up. Performance not as easily measured as with software-based emulation. So far we've discussed the pros and cons of application-based virtual machine hypervisors across multiple platforms. As with most other technologies, many well-known companies such as Amazon, and have taken the concept of VMs and container instances to the cloud, allowing you to remotely access virtual machines that are hosted on the provider's own servers. Some actually bill by the minute, letting you pay only for the time that you need, while others allow for full-scale networks to be designed, created and hosted on cloud-based servers.